A complete, fetal bovine serum-containing media formulated and optimized for the maintenance and expansion of purified human, mouse, and rat MSCs. Why Culture MSCs in a Defined Medium? Mesenchymal stem/stromal cells (MSCs) are a rare population of multipotent cells that can be derived from a number of tissues such as bone marrow, adipose, and placenta. Given their rarity and sensitivity to ex vivo conditions, MSCs are most often expanded in vitro under specific culture conditions. Supports reproducible MSC growth in vitro. Supplied in a 250 mL volume, this medium contains high quality factors to support MSC expansion in vitro. Phenotypic Analysis of Human MSCs Expanded in StemXVivo® MSC Expansion Media. Human MSCs were expanded using StemXVivo® Mesenchymal Stem Cell (MSC) Expansion Media (Catalog # CCM004). 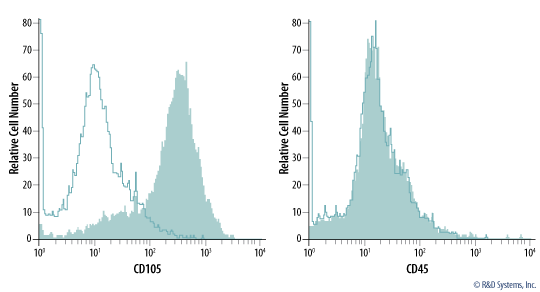 Filled histograms indicate cells stained with markers of undifferentiated MSCs including anti-CD105 (Catalog # FAB10971P) or CD45 (Catalog # MAB1430). The open histograms show isotype-matched control staining. MSCs appropriately lack expression of CD45. Phenotypic Analysis of Mouse MSCs Expanded in StemXVivo® MSC Expansion Media. Mouse MSCs were expanded using StemXVivo® Mesenchymal Stem Cell (MSC) Expansion Media (Catalog # CCM004). 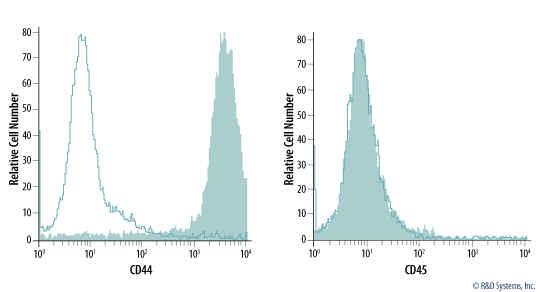 Filled histograms indicate cells stained with markers of undifferentiated MSCs including anti-CD44 (Catalog # AF6127) or CD45 (Catalog # MAB114). The open histograms show isotype-matched control staining. MSCs appropriately lack expression of CD45. Add 3.5 - 4.0 x 105 MSCs resuspended in 20 mL of the pre-warmed StemXVivo® MSC Expansion Media to a T75 flask. Replace the medium every 3 days with fresh StemXVivo MSC Expansion Media. Culture the MSCs to 80-90% confluency. 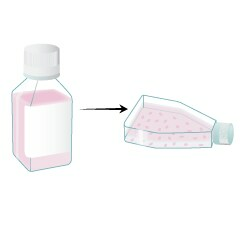 Remove and discard the media from the T75 tissue culture flask(s) containing the MSCs. Wash the cells with PBS. 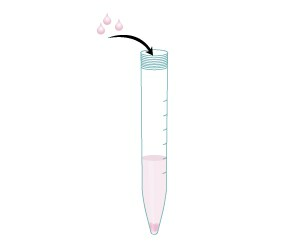 Add 1-2 mL of pre-warmed trypsin to the MSCs and incubate the flask at 37 °C. 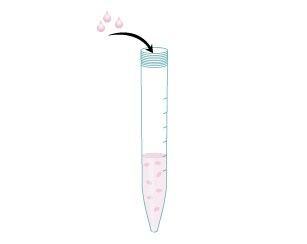 Transfer the dissociated MSCs to a 15 mL conical tube. Centrifuge at 400 x g for 5 minutes. Resuspend the cell pellet in 5 mL of StemXVivo® MSC Expansion Media. Add 3.5-4.0 x 105 MSCs resuspended in 20 mL of pre-warmed StemXVivo® MSC Expansion Media to each T75 flask. Bile acids induce hepatic differentiation of mesenchymal stem cells. Intravenous and intratracheal mesenchymal stromal cell injection in a mouse model of pulmonary emphysema. Skin-derived mesenchymal stem cells help restore function to ovaries in a premature ovarian failure mouse model. Dynamic microRNA profiles of hepatic differentiated human umbilical cord lining-derived mesenchymal stem cells. Does StemXVivo® Mesenchymal Stem Cell Expansion Media need addition of serum before use? The StemXVivo® Mesenchymal Stem Cell Expansion Media does not need addition of serum. Fetal bovine serum is included in the product, which is a complete medium and ready to use. The media may be supplemented with cytokine or growth factors for your desired cell culture application. Does StemXVivo® Mesenchymal Stem Cell Expansion Media (Catalog # CCM004) contain Phenol Red? Yes,StemXVivo® Mesenchymal Stem Cell Expansion Media contains Phenol Red. How long can Mesenchymal Stem Cells (MSCs) be cultured in StemXVivo® Mesenchymal Stem Cell Expansion Media (Catalog # CCM004)? MSCs can be grown to 80-90% confluency and subsequently subcultured using the protocol provided in the product datasheet. 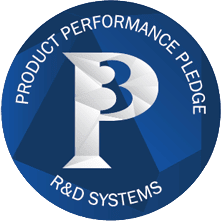 Researchers should establish the number of passages that is acceptable for their work. MSCs are sensitive to passsages and, if subcultured too many times, may start losing their MSC characteristics. 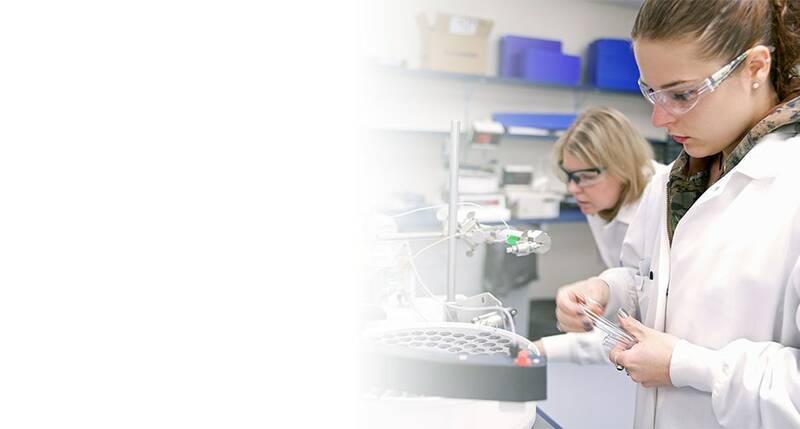 Our MSC Functional Identification Kits can be used for validation of MSC mulitpotency. Have you used StemXVivo Mesenchymal Stem Cell Expansion Media? I am working on bone marrow stem cells.StemXVivo MSC expansion medium help to retain the population doubling time from P-4 to P-8 30 hrs to 34 hrs only, where when I culture these MSC in normal alpha MEM after some time cells do not divide/proliferate. I used this media for my umbilical cord-derived MSC, after speaking with a representative, who gave me a sample. I tried the product because I saw my cells were growing really small in another brand product. After switching, the rate of growth of my cells dramatically increased, and I could not be happier than that!